Home » Blog » Feel Good Friday: Cows Cuddling Cats! Feel Good Friday: Cows Cuddling Cats! Today we are focusing on the sweetness of dairy cows. I know they are so sweet because my younger (and cooler than me) cousin Emily shares adorable pictures of the calves and cows she works with. Many of us consume dairy products daily without thinking about the animals who provide these products or who is taking care of them. Working and being around animals can be therapeutic for the people who directly work with them. 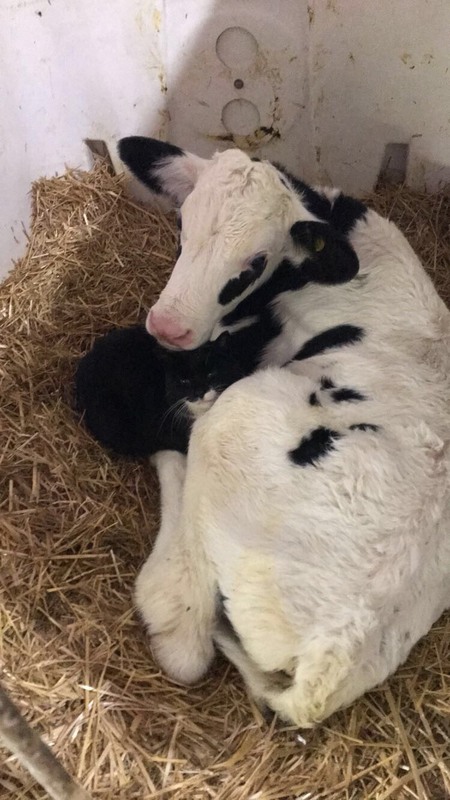 These dairy cows are so gentle that cats even want to cuddle with them! When I saw the most recent pictures of the calves Emily snapped I wanted to know more immediately. Here’s the low down. Tell us about the farm you work at. 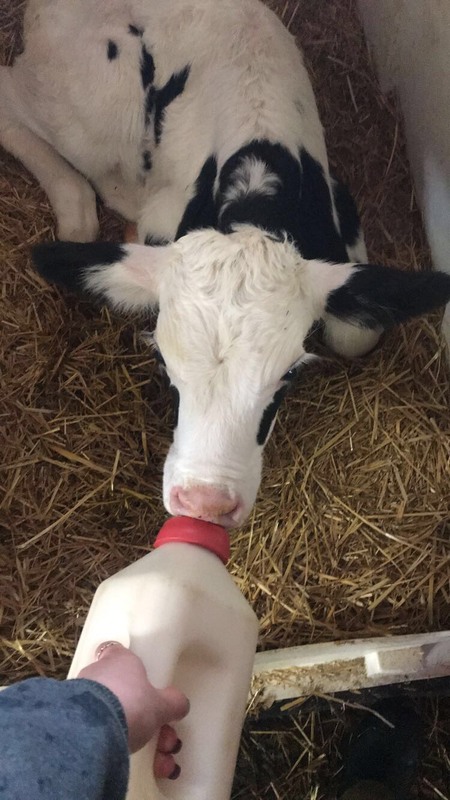 I work on a small family dairy farm that milks about 80 cows! Can you tell us about the calves you work with? All the cows and calves I work with are very happy and healthy! Any sick cows and calves we treat the same you would treat a baby. We do whatever we can to get them healthy again! Who are the calf and cat in the picture you snapped of them cuddling? The calf is a bull calf born February 10th and the cat is named Lilly (and is just a barn cat). At your farm do cats and cows interact often? The cats loves the cows they lay with them all the time! How do the animals help your overall well being? Thanks Emily for sharing a bit about the farm! Marnie is the Engagement and Partnership Coordinator and has been happily working front line in the mental health field for over a decade. She enjoys a good joke, working at mindyourmind and spending time at home relaxing.